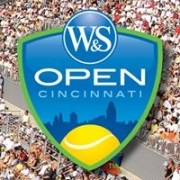 The Western & Southern Open is played annually in the Cincinnati suburb of Mason, Ohio, USA. The event started on September 18, 1899 and is today the oldest tennis tournament in the United States still played in its original city. The men's event is one of nine ATP Masters 1000 tournaments on the Association of Tennis Professionals (ATP) tour. The women's event is a $2 million Premier 5 event for the WTA and is the only WTA event held in the American Midwest. The competition is played on outdoor hardcourts. Because of its sponsorship by the Western & Southern Financial Group, the official name of the event is the Western & Southern Open."